Showing 21 articles from July 21, 2015. 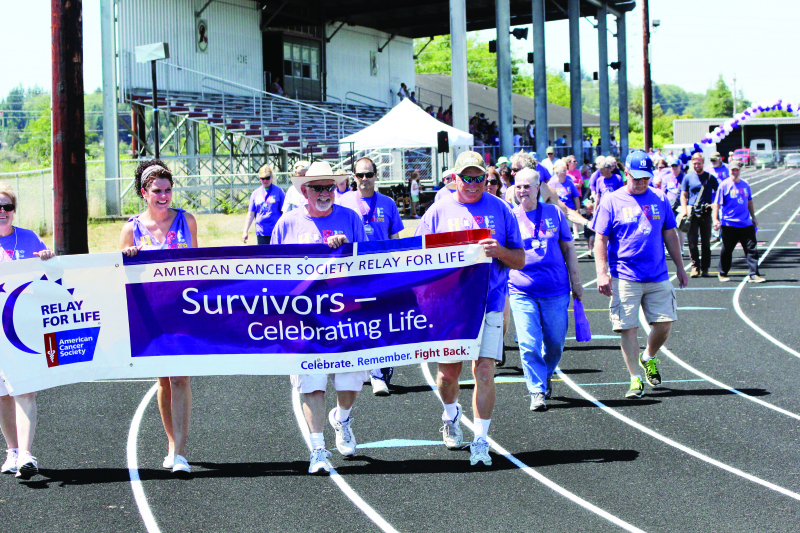 This weekend saw the Willapa Bay Relay for Life event held at the Raymond High School. And even with the hotter than normal weather, many came out to support the event to help battle the fight against cancer. During opening ceremonies, Sherelen Wildhaber shared her story and entertained the crowd before the Survivor's Lap was started. 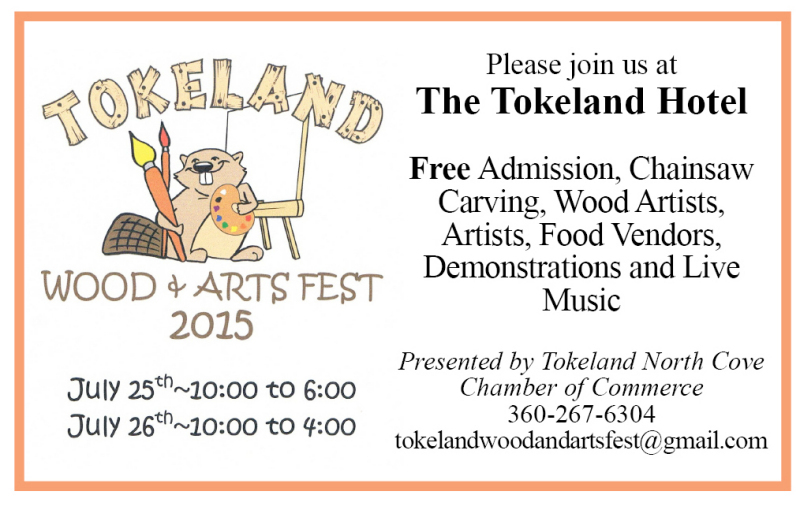 Tokeland will be holding their 2015 Wood and Arts Festival on July 25 and 26 that features wood artists in various forms, demonstrations and live music. The festival has free admission and will be held at the Tokeland Hotel. 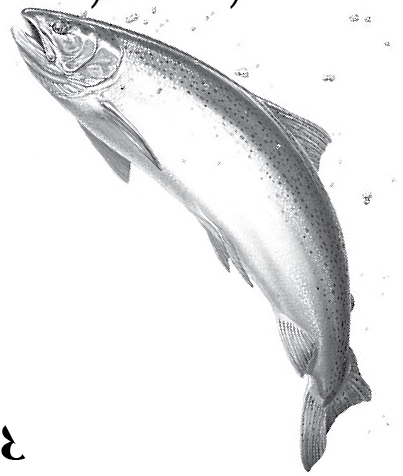 Toledo will be holding their fourth annual Steelhead Derby this Saturday and residents from throughout the area are encouraged to come and compete for prizes and the title of best angler. Vader 4th of July organizers would like to say "Thank You" to Vader citizens, Apple Electric, Little Crane Restaurant , J £ G grocery, Vader Masonic Lodge, Paul's Auto , VFW £ Veterans of Ryderwood, Ryderwood Social Club, Cascade Select, Castle Rock Building Supply , and Vader City Council for their support of the event. What is wrong with the city council? All residents please vote "No"! The Vader City Council met Thursday, July 9 with a quorum available to run the business of the city. Two regular council members were excused prior to the meeting. Mayor Kenneth Smith opened the meeting with a note on the Fourth of July weekend: "The fireworks were an extreme success, and I believe we had a record crowd out here and we express our appreciation to Mr. Reggie Smith who made the fireworks available." Editor's Note: Figures and comments are derived from inspections conducted by the Lewis County Public Health Department's Food Safety Program. Red violations are those most likely to cause foodborne illness and must be corrected at the time of inspection. Other violations relate to overall cleanliness and operational conditions and must be corrected by established deadlines or by the next routine inspection. On Thursday, July 30, the Lewis County Canvassing Board shall convene at 9 a.m. at the Lewis County Historic Courthouse, Room 128, 351 NW North St, Chehalis to begin the canvass of the Primary Election to be held August 4, 2015. The first order of business will be to swear in all members and the clerks to the board. The clerks will then begin processing the returned ballots. After removing all ballots from their designated envelope, placing them with their respective precincts, they will then inspect, scan and resolve the ballots. These ballots will be secured at all times and results will be released at 8:00 p.m. on election night. The Centralia College softball team is collecting new and gently used shoes through Oct. 15 to raise funds for travel expenses and equipment. The softball team is collecting shoes for Funds2Orgs, a non-profit organization that helps impoverished people start, maintain and grow businesses in countries such as Haiti, Honduras and other nations in Central America and Africa. The Lewis County Sheriff's Office is releasing the following information pursuant to RCW 4.24.50, which authorizes law enforcement agencies to inform the public when the release of information will enhance public safety and protection. According to a Washington Department of Transportation alert that the right lane of southbound I-5 and the Cowlitz River Bridge on-ramp (milepost 59) south of Toledo are now open. 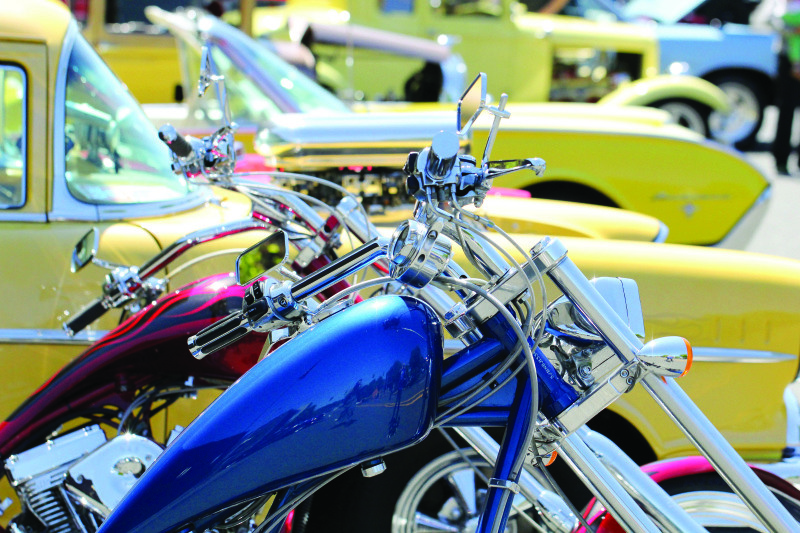 The 7th annual Heat on the Street custom car and motorcycle show is coming to downtown Elma on July 31. The Friday night Cruise-In party will be hosted by Jason Olsen and family located at the Edward Jones parking lot (3rd & Waldrip Street) beginning at 4 p.m. Bring the family for a preview night of cars, music and fun until 8 p.m. The Elma Chamber of Commerce Board of Directors presented the Business of the Quarter Award, for the second quarter of 2015, to Ryan Phillipi, Rick Bush and Renee Bush owners of Elma Farm Stand & Public Market. The plaque was presented during the Elma Chamber of Commerce membership meeting on June 10th at Elma Eagles. 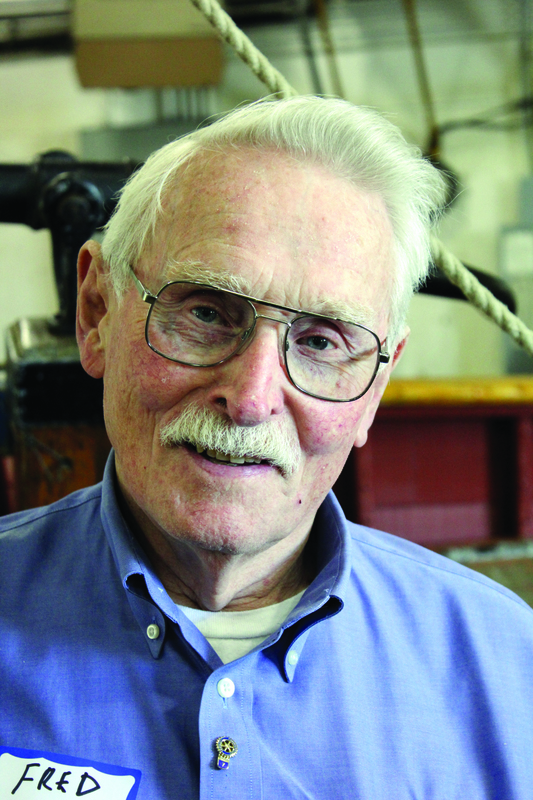 Hoquiam Mayor Jack Durney announced via a press release that the Hoquiam Water Transmission Main project has been completed. 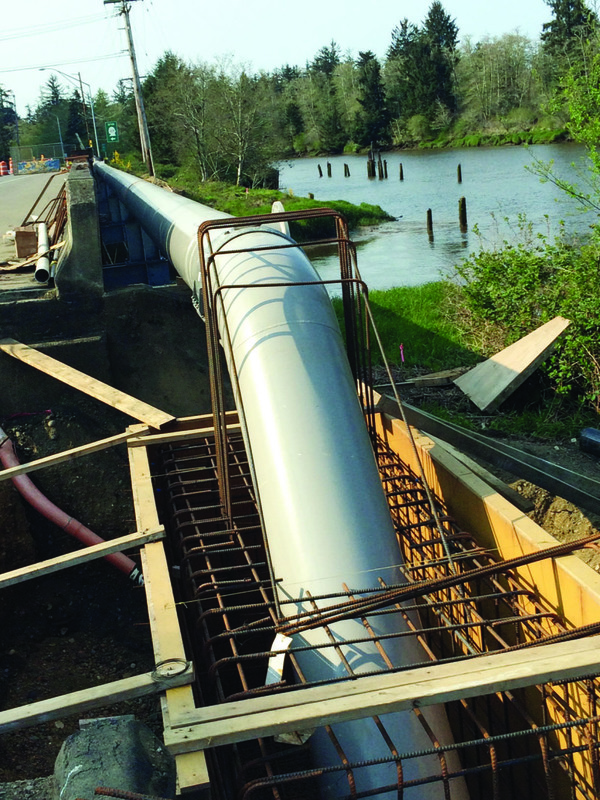 "I am happy to announce that the City of Hoquiam's Water Transmission Main Replacement Project was completed earlier this month culminating several years of planning, permitting, funding and construction. Featuring: Ice Cream Social, Commissioners Business Forum luncheon, Bennett's Closing, Drought Fishing Closures, Summit Pacific Urgent Care Clinic OPEN, and City Wide Garage Sale in Elma. July 10th was our second son's birthday. We got together in Tillamook, Oregon. My Birthday was Wednesday the 15th. We celebrated it at Rotary on Thursday morning. I usually get either strawberries or raspberries and write my age with whipped cream. On Thursday, the 9th of July we had the new three members of our East County Rotary. Our new District Governor is Rose Bowman from Chehalis and our new international President is from Sri Lanka. It has just been announced that we now believe we have gotten rid of all Polio in India. This leaves only three countries to defeat Polio to complete the job of winning all over the world. Bill Gates has helped by supplying about ½ of the funds needed to stop this terrible and disabling disease. Grays Harbor County Fairgrounds held their media day to introduce this year's county fair this past week. Country Pride, County Wide is the theme of this year's Grays Harbor County Fair that runs August 5 - August 9. The fair will open at 10 am on Wednesday, Aug. 5, holding the opening ceremonies at 5:30 pm with the parade and dedications at 6 pm, this year the fair is dedicated to Mr. Mike Murphy. In the evening of Tuesday, August 4, neighborhoods throughout Hoquiam will join forces with thousands of communities nationwide for the "National Night Out" against crime. 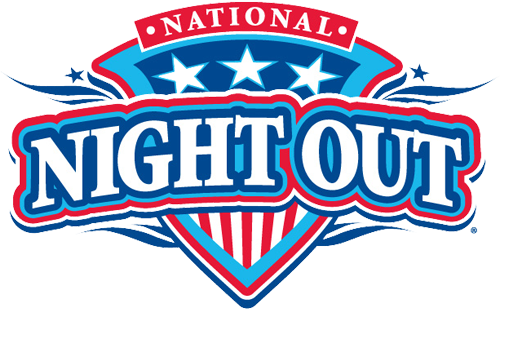 Last year, 38.1 million people in over 16,540 communities participated in National Night Out, including Hoquiam. 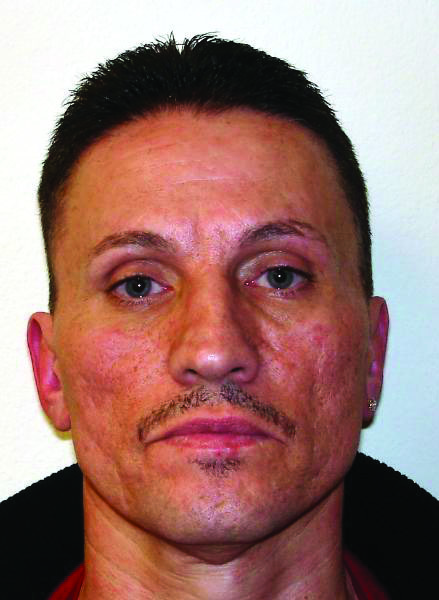 Michael A. Miller, 31, and Angel M. Lutes,33 both of Neilton. Steven R. Friederich, 35, and Rachel Z. Thomson, 31, both of Olympia. Sean S. Ellefson, 36, and Samantha M. Fredericks, 20, both of Hoquiam.